The original Alien Breed (1991) was a great game. A top down atmospheric and claustrophobic shooter, clearly influenced hugely by the 1979 film ‘Alien’ even and more so by the sequel, ‘Aliens’ (1986). 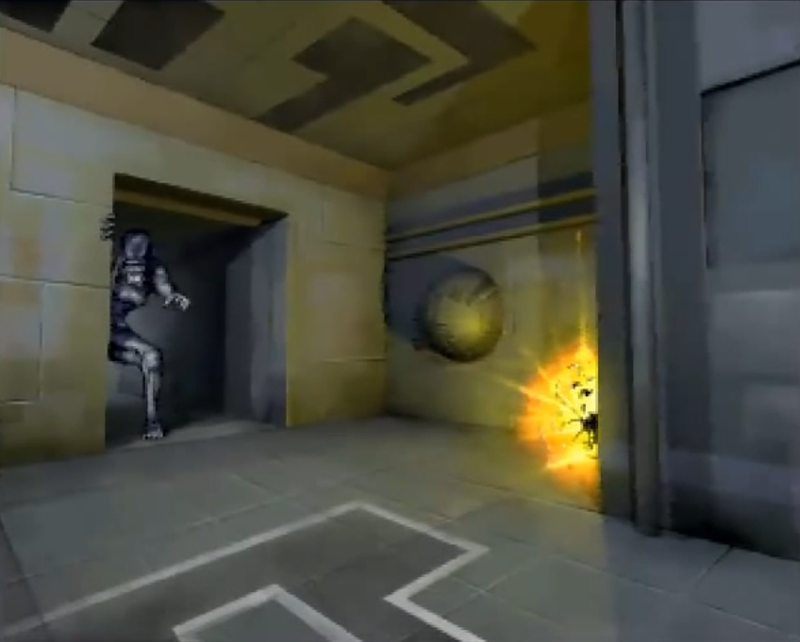 The ’92 ‘Special Edition’ release of the game was better still, with the removal of many of the annoying bugs that were present in the original version. So Team 17 had their work cut out to improve upon a formula that was already hugely popular and successful. The second instalment, released in 1993 did just that however. Following the same blueprint as the first game, you play a space marine navigating your way through the maze-like levels of a facility that has been overrun with alien creatures, all of whom, somewhat unsurprisingly, want to kill you. Each mission has an objective and until this has been completed you cannot move to the next level via the deck-lift. Completion of an objective triggers an alarm, the screen starts flashing red and a computer voice commences an ‘auto-destruct’ countdown. 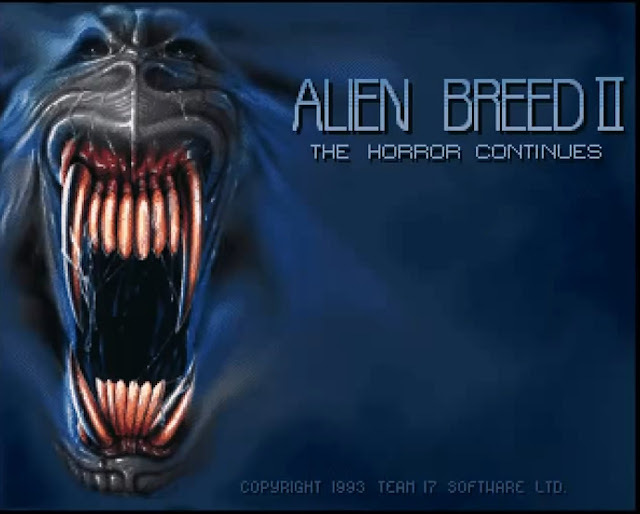 Played in a darkened room with the sound through a hi-fi for maximum effect, this is hugely atmospheric and, as in the first game, the panic that strikes you is genuine and quite disconcerting. If you fail to make it to the deck-lift in time, it is game-over. 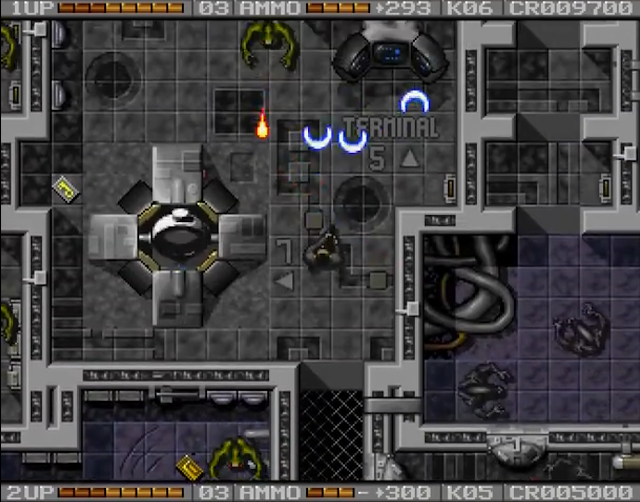 The top down view has been retained, as have the computer terminals, conveniently dotted around the levels which allow you to log-in and purchase health, door keys, extra lives, upgraded weaponry and a map scanner, by using credits which the previous inhabitants have apparently carelessly left lying around. There is a good weapon selection, ranging from the standard and fairly puny machine gun which you start with, to more powerful options such as those with multi-fire, homing missiles, bouncers and flamethrowers. There are three levels of every weapon, each costing more than the last, often leaving a player in a quandary; ‘do I buy it now or carry on and save for a more powerful version?’ Once bought you retain each weapon and you can change it at any time to another that you own simply by pressing the shift key. Your character has a health bar which can take quite a few hits before a life is lost and this can be replenished by collecting one of the first aid kits that are dotted about, or by buying a top up-from a computer terminal. This is just as well, as the aliens come at you thick and fast and the only way to navigate some sections is to bite the bullet and take a few hits. 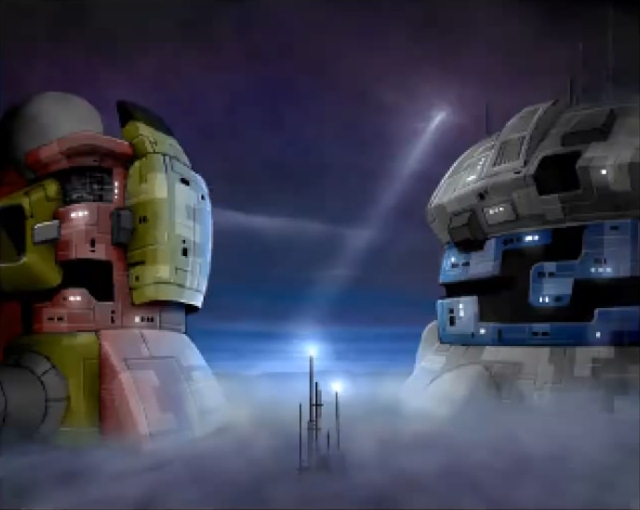 While retaining the bones of the original game; there is no disputing that AB2 is bigger and for the most part better. As you would expect from a Team 17 game, everything is very slick and it is beautifully drawn and animated, the loading screens in particular deserving mention as being works of art. The levels are nicely constructed, being complicated enough to ensure that it takes a number of plays before they start to feel familiar. There is a greater variety in aliens with each type moving differently. The atmosphere has been retained with great sound effects and a real feeling of tension and foreboding. 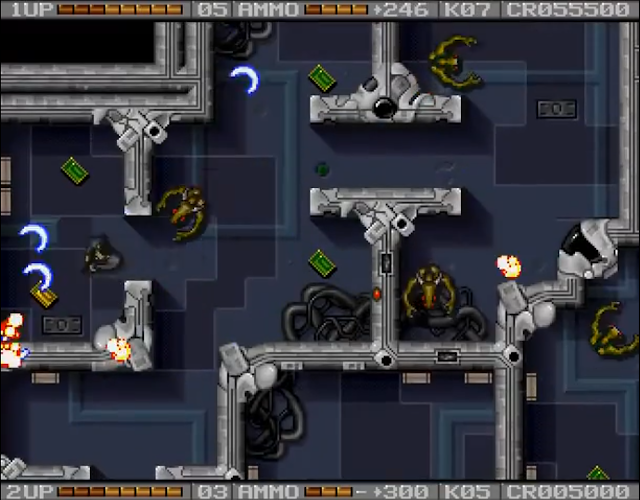 As a two player game it works well, though there are no additional credits to collect, meaning each player can only level-up their gun at half the speed of the one player game. On the flip side however you have two guns between you rather than one; perhaps that evens things out. A high degree of communication and cooperation is needed; otherwise a player can find themselves trapped at the side of a screen and jumped by aliens they didn’t know were there. This isn’t a game you can simply tear through; if you try you will quickly be overwhelmed. The only successful strategy, certainly early on, is to pick your way carefully through each stage, preserving your health. There are a couple of negatives. Firstly the difficulty curve is pretty uneven. 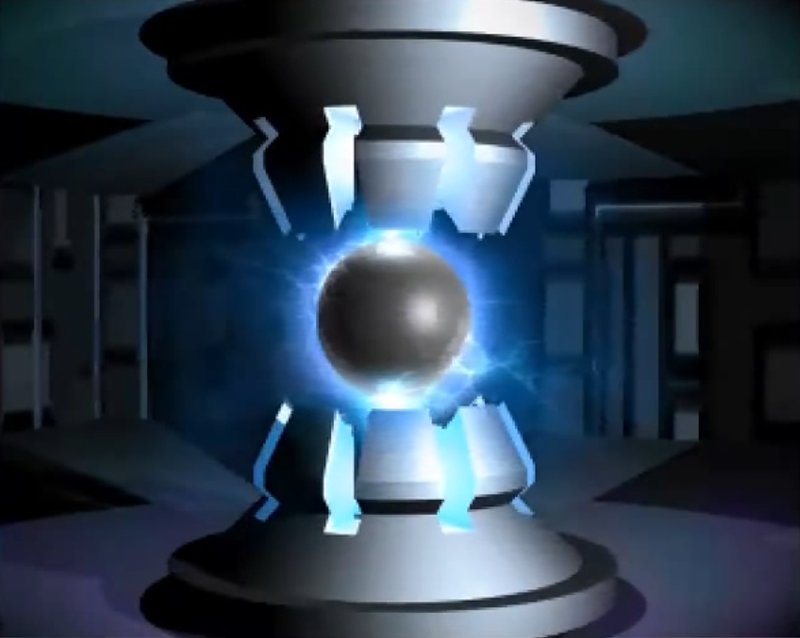 The first level (which strangely is set outside and stands alone compared with all the others) is particularly difficult, especially for a new player. Rather than battling aliens you have to avoid meteorites (which diminish your health) and security helicopters (one contact results in instant death). There is no hand-holding here, you wise-up or die fast. Even for experienced players it can be tricky to complete without losing at least one life. This level design is so different to all the others in the game you are left wondering whether it was a last minute bolt-on to set the story up. 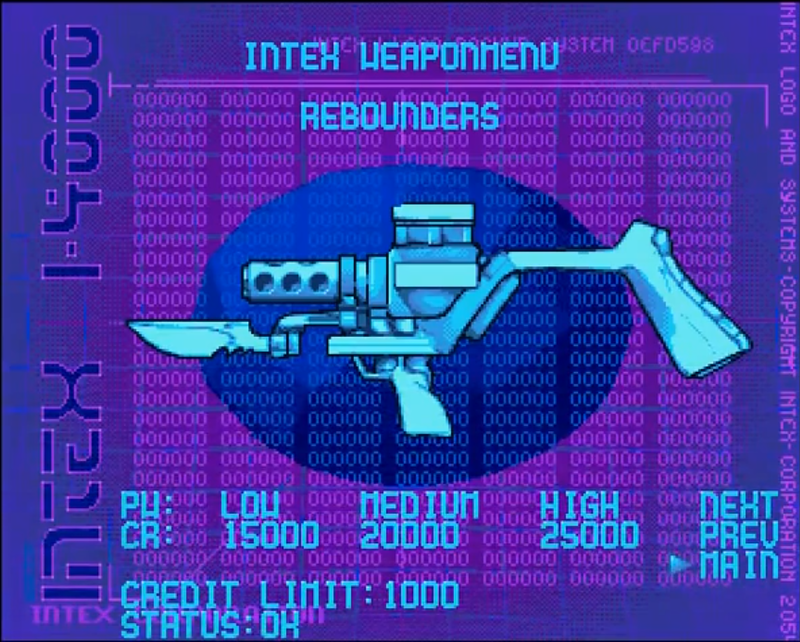 The second level is also pretty tough and then (perhaps because by now you have sufficient credits to upgrade your gun) things get a little easier. The other irritating feature is that the aliens respawn continuously, meaning that it impossible to clear out an area. You never see this; it always happens off screen, but you can dispose of every alien in view, move away and turn back ten seconds later and the room is full of aliens again. This is as annoying and frustrating in equal measure and makes progression through some levels significantly harder. However those small niggles aside, this is an excellent addition to any collection. It looks and sounds terrific with solid gameplay to match, allowing the player a little further with each incursion, providing that perfect: “I’ll just have one more go” incentive. It gives great value too as it can be replayed many times before becoming predictable. Give it a go and before you know it you will be laying down to sleep at night with red lights flashing behind your eyelids and those words ringing in your ears: “Warning, destruction imminent”!